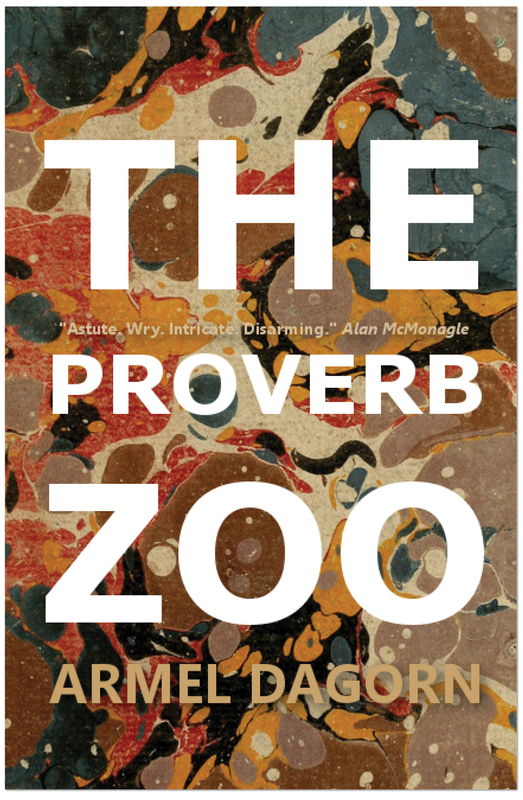 I am very truly delighted to say that my short story collection The Proverb Zoo will be published this May in Ireland by The Penny Dreadful Press. There even was an official announcement and everything, so it’s real. The book collects fifteen short stories, a good number of which have been published in magazines (in I think something like five different countries!) over the last few year. Those stories vary in length (three of them must be a couple of pages long, while others are definitely on the chunky side) and styles. There are minute miracles, shipwrecks, gameshows, IKEAs, kite-flying, severed legs… now, now*. Enough. I just hope it’s a Zoo you’ll want to visit. Spend time with those beasts. Exact date of publication is yet to be announced, and for those of you in Ireland, there WILL be a launch, and you’re all invited. *This is my sales pitch. I am new at this. “Daddy?” He feels his elbow being picked at. “Daddy!” His daughter is holding her clarinet as if she is about to hit him with it. Behind her brown-rimmed glasses her eyes are fierce. She looks like a twelve-year-old district attorney with a good case and witnesses. “I was going to practice,” she says. I love Charles Baxter. I love Charles Baxter. He’s a master; his short stories are intense little nuclei of goodness. Not all like this previous sentence of mine. He’s good. He’s good – his stories radiate kindness. I can pick up pretty much any of his stories and within a couple of pages I’ll have stopped three or four times to ponder some brilliant, sneaky line. London-based publisher Unsung Stories are open to submission until February 26th. They’re looking for speculative fiction, and accept novels as well as “sets of novellas or novelettes, interlinked short fictions and the like”. They’re well worth checking out even if you’re don’t have a manuscript looking for a home. I’d recommend in particular You Will Grow Into Them, a collection of dark and weird short stories by Malcolm Devlin, and Aliya Whiteley‘s The Arrival of Missives.